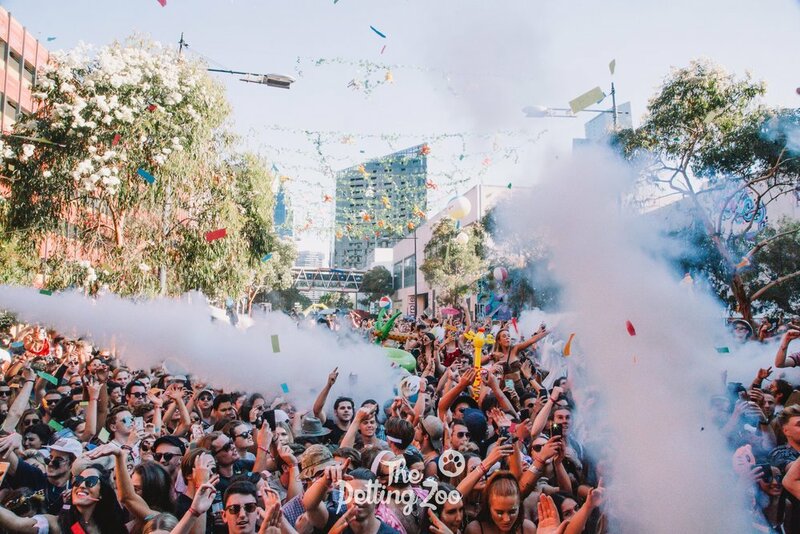 Blaso Pyrotechnics were engaged to manage and provide turnkey production and provision of a range of special effects for The Petting Zoo Festival 2017 - Melbourne’s inaugural 'Zoo Themed' open air street party! When it comes to large scale productions and outdoor events we carry a huge range of Co2 equipment and flame systems, some of the largest confetti and streamer effects available and the very best in on-stage and close proximity and aerial fireworks, Blaso Pyrotechnics know the demands of delivering at the highest level. Co2 Jets / Stadium Blasters / PowerShots / Flames and loads of Co2, Confetti and Streamers!